As the last of the festive trimmings from the holiday season are put away we find ourselves facing the long off season. Some of us will be hauling frozen buckets and longing to be out of our arenas again. Some will be lucky enough to continue training in warmer climes but most of us will be dreaming of spring and suffering a bit of cabin fever. My solution? A superb read for those long evenings when sunset comes too early and outside is too cold! “Beyond the Homestretch” by Lynn Reardon is a marvelous journey not to be missed from start to finish. For the novice horseman it is a vitual handbook of almost every concieveable aspect of horsekeeping and a very encouraging tale of how knowledge follows desire and determination. For the trainer, you will recognize with fondness the long and bumpy road from starter to professional. For myself , it took a long time to read and digest the whole book. Not because it is overly long, at 282 pages, a very comfortable read. It was because every chapter , every anecdote and adventure set off a firestorm of memories from my own journey. Lynn’s descriptions of the racetrack are so clear and real, you are there. You are there alongside of all the colourful characters every racetrack attracts. The trainers,dealers,jockeys,exercise riders,veterinarians grooms come to life vividly bringing back my own days at Woodbine racetrack in Toronto. You will laugh and cry with Lynn all the way from an unsatisfying though successful office career to her crowning achievement: L O P E Lonestar Outreach to Place Ex-Racers. You will find yourself in every page as she emerges from the cocoon of “novice weekend rider” to full scale trainer with the keen eye and instincts of a true horseman born only of long experience.Of necessity Lynn learns to deal with dire medical situations, dangerous riding, difficult and unscrupulous characters and more ways to stretch a dollar than you can imagine. With the purpose and gumption only a dream of the heart can produce Lynn faces down seemingly unsurmountable obstacles. In the process she finds compassion in odd places ,hope in the darkness and faith in herself and deepening respect and love for her husband Tom. Anyone who has ever loved a thoroughbred will find them again in the pages of “Beyond the Homestretch”. If you find yourself in tears every spring when the “Run for the Roses”, starts ringing across the airwaves this book will warm your soul. As a child I was lucky enough to ride a great grandson of Man O War. “Valcouer”, a chestnut, small and fragile looking who had been injured before he ever raced but saw me to my first red ribbon over an 18 inch jump course. I spent over an hour, frozen in my chair, starring into space back on that jump course before resuming reading. “Beyond the Homestretch” published by New World Library will be enjoyed and appropriate for readers of all ages from 10 to 100.The same way horses level the age gap between riders, this book’s appeal will span audiences from the city dweller who has only imagined being astride the back of the proudest of horses to the trainer who has seen it all come and go many times before. Tack & Talk has moved! See us in our new home at tackandtalk.com! Does your horse turn and face you when on the lunge line? Why are A, K, E, H, C, M, B and F letters used in the dressage arena? Helmet Safety: What does ASTM/SEI mean? 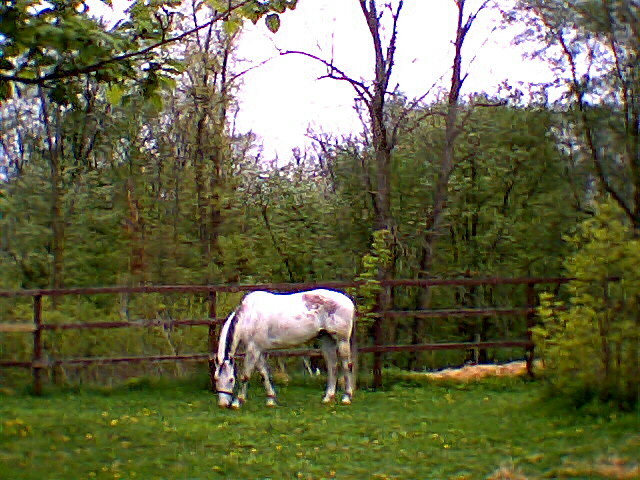 Can my horse eat that!? Q & A: Why does my horse lick metal? Sign up for Tack & Talk’s Newsletter! 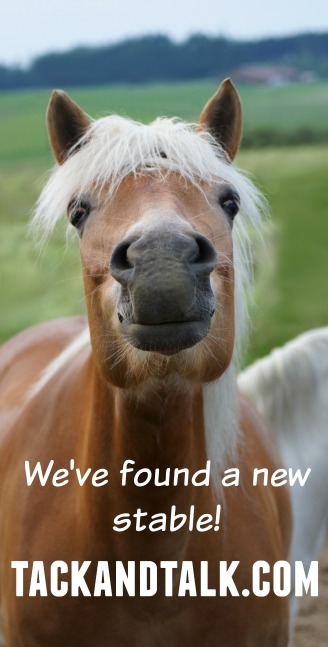 ★ Deals & discounts on your favourite horsey items! Stop holding your horses - sign up now!